First, the linky party for eye candy of any kind is still on til Monday, 3PM, PDT. See the previous Hexie Weekend post. Second, going through more boxes found about 20 yards to donate to the Lutheran Church for charity blankets. 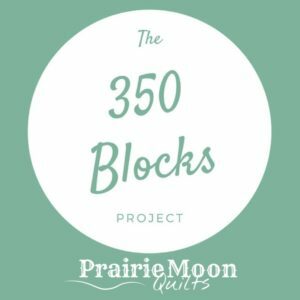 These are big pieces that will make great backs. I also used 1.5 yards to make my next charity top for St. Anne's. I bought a JayBird Quilts Hex N More ruler and decided to try it today (I just got it yesterday). Will measure about 32"by 37". Good for infant, stroller or car seat use. These blocks are actually on the wall on an actual design wall. I bought a block butler way back in 2004. It's been buried behind a pile of boxes, and I couldn't reach it. I was able to take it down today, wash it and put it back up again in a new place. I'll probably buy some flannel to go over it as plain unsewn blocks stay up, but once I have blocks that are sewn together or have seams, they don't stay up too well. Numbers on the right sidebar. 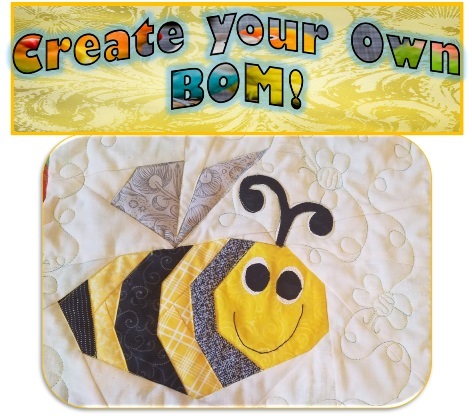 I'm linking to Judy's Patchwork Times and Lyn's BOMs Away. See you there. And thanks for stopping by. A 'Hex N More' ruler? Must look for one. It looks interesting - like it would work up quickly. 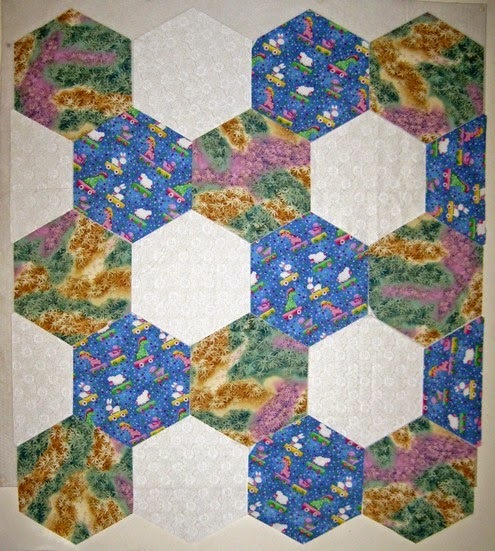 I think using the hexagons is an excellent idea for charity quilts...gives it some added interest. Donation works for me! Any way to turn over the stash. Have a great week!